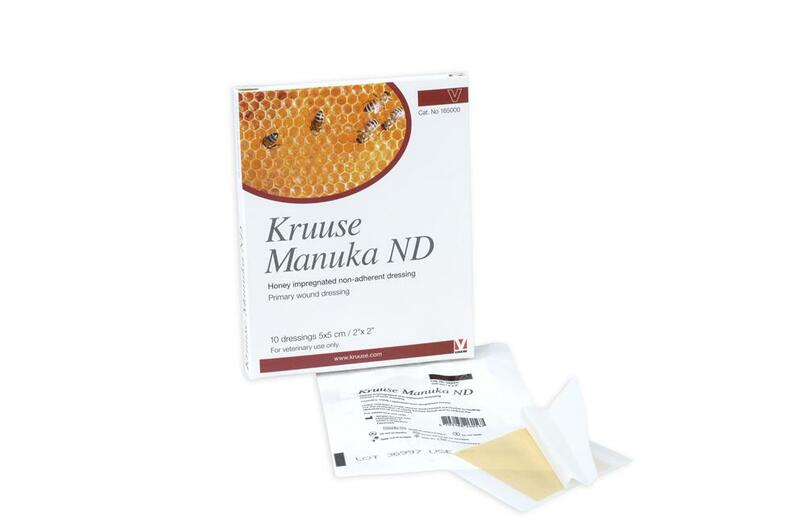 Kruuse Manuka ND Dressings are non-adherent gauze dressings, that have been impregnated with 100% Active Manuka Honey from New Zealand. Active manuka honey has a number of antibacterial & healing properties. These dressings give an easy to use way of getting the benefits of active manuka honey. They create a moist environment for the wound, which is known to be best for good quality, quick healing. They are suitable for use on a variety of different wound types, including those that are discharging. Aniwell Active Manuka Honey Vet Cream benefits from all the antibacterial & healing properties associated with active manuka honey, in an easy to apply cream. Activon 25g Tubes contain 100% medical grade active manuka honey from New Zealand, that has been filtered & sterilised, so can be used to treat wounds under dressings. Active manuka honey has a number of antibacterial & healing properties. Algivon is an absorbent alginate dressing that has been impregnated with Activon honey (a form of active manuka honey). Active manuka honey has a number of antibacterial & healing properties. Kruuse Manuka AD Dressings are absorbent dressings, that have been impregnated with 100% Active Manuka Honey from New Zealand. Active manuka honey has a number of antibacterial & healing properties. Kruuse Manuka G is a sterile gel made from 100% active manuka honey from New Zealand, that can be applied under dressings. Active manuka honey has a number of antibacterial & healing properties. Melolin Non-Adhesive Dressings are sterile & designed to be placed directly onto wounds or surgical sites, then held in place with a bandage or Pressage. They can absorb light to moderate amounts of discharge. Each dressing is individually wrapped.